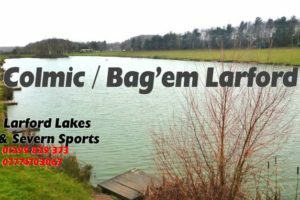 19 anglers turned out for the first classic qualifier of the series on the Match Lake in cold and very wet conditions. Winner today making his way to the May final was Neil Colcombe (Larford) with 270-12-00. Neil caught from peg 35 fished corn down the edge and feeding pellets. 2nd placed Carl Brooked (Maver) drew peg 12 landing 247-13-00 to pole short with hard pellets and dead reds. 3rd on the day was JohnBreeze from peg 38. 4th placed Steve Rocke (Larford) drew peg 28 landing 162-15-00 to pellet and corn short . 5th on the day was Pete Jones from peg 14 with 157-08-00 to pole short and hard pellets. Chris fished short pole with pellet and corn.